Olympus SZ-30MR adopts 16-megapixel backlit CMOS sensor, 3-inch LCD display, 24x wide (25-600mm) optical zoom, Dual Image Stabilisation, Eye-Fi Card compatibility, 3D photo shooting, i-Auto (intelligent-Auto) Mode, an array of Magic Filters, AF Tracking, Beauty Mode, Advanced Face Detection and Shadow Adjustment technology. Olympus SZ-30MR that is just offered in black color is expected to be available some times in March for a recommended selling price of €329. 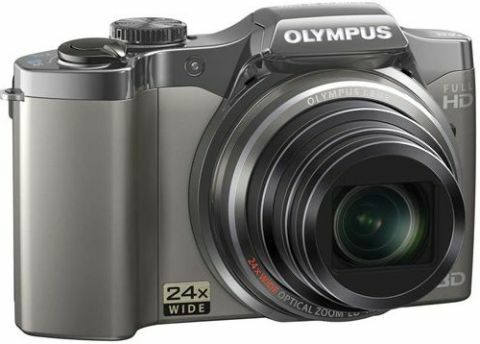 In addition to SZ-30MR, the company also introduced the lower-end Olympus SZ-20 digital camera that includes almost same features with SZ-30MR, except zoom and processor (12.5x ultra-wide (24-300mm) optical zoom and TruePic III+ image processor) – without Multi Recording of both full HD movie and 16MP photo shots at the same time, priced at €219.